IT’S THE TIME of year everyone awaits. Savannah’s most comprehensive reader-driven community recognitions return for another ginormous print and online annual edition. Not to mention the festive awards party. And the very festive afterparty. This year we had another increase in the raw vote total for our 300+ categories, arranged in the old faithful sections: Music & Culture, City Life & Public Affairs, Media, Food, Nightlife, Recreation, Health & Beauty, and Shopping & Services. All of these votes come directly from readers, and what we got is what you get. There are no stinkin’ superdelegates, no partial vote-counting, no rigging. Just pure democracy. The good, the bad, and in a couple of cases, the ugly. One of my favorite pasttimes each year is to notice the runners-up. While they receive much less attention, the runner-up listings are often a great leading indicator for who or what is up-and-coming. Look for many of the runners-up to be winners one year, maybe soon. As in years past, we have chosen to highlight some winners with extended profiles among the usual blurbs. We choose these extended profiles on the basis of the winners being new and/or noteworthy in some way. The authors of the extended profiles are tagged in italics at the end of each. This year’s cover shoot is by longtime Connect contributing photographer Geoff L. Johnson, who this year was voted Best Local Photographer and Best Wedding Photographer by our readers. While all our Readers Poll winners are deserving, we chose the cover models for their freshness, recognizability, mad skills.... and of course because they’re all just so freakin’ photogenic! 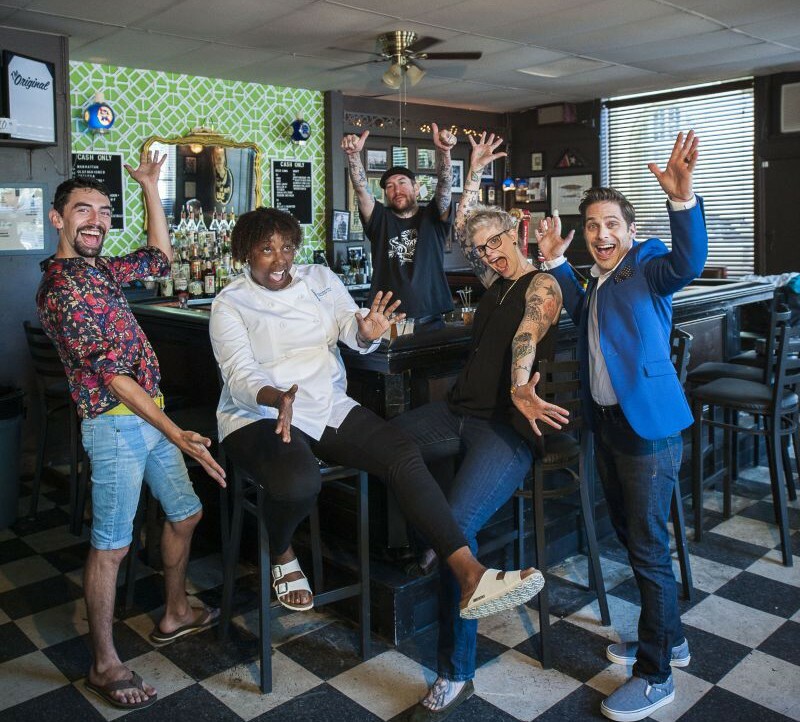 The photo shoot was in this year’s Best New Bar winner, The Original. This year’s Best of Savannah issue is a truly massive undertaking that seemingly gets more massive each year. We couldn’t do it without a coordinated team effort. Thanks to the rest of our epic editorial staff for working so hard on the Best of Savannah sections: Community Editor Jessica Leigh Lebos, Arts & Entertainment Editor Anna Chandler, and Events Editor Rachael Flora. Thanks to our fantastic design staff of Art/Production Director Brandon Blatcher and Graphic Designer Britt Scott. Thanks to our esteemed sales staff of General Manager/Dear Leader Chris Griffin, Account Executive Super Extraordinaire Jay Lane, and Super Sales Rep Matt Twining. And most of all of course, thanks to you, our readers, who are really the ones who contribute the heart and soul of this issue and give us so many interesting and inspiring things and people and places to write about. Best Local Music Video – COEDS, "Do the Beast Stomp"
Best Personal Trainer – Mark Lebos, M.S. Best Weight Loss Center – Phil Barone, D.C.